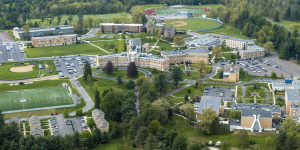 Misericordia University is a place where motivated students receive the attention they deserve, the high-quality education they seek, and the opportunities they need to be successful. When you graduate, you’ll be prepared to excel in your career, lead others, and serve the community both professionally and personally. Average class size: 19 students; more than 16% of classes have nine or fewer students, while 48% of classes have 19 or fewer. First-year student profile: 50% rank in the top 25% of their graduating class. Freedom Conference. Women’s sports include basketball, cheerleading, cross-country, field hockey, golf, lacrosse, soccer, softball, swimming, tennis, track & field (indoor and outdoor), and volleyball. Men’s sports include baseball, basketball, cross-country, football, golf, lacrosse, soccer, swimming, tennis, track & field (indoor and outdoor), and volleyball. Misericordia University is known for providing the personalized attention students need in a learning environment where resources are abundant and the entire educational experience is designed to help you learn, grow, and succeed. Classes are small, usually fewer than 19 students, and often with as few as nine in advanced study areas. Overall, the student-faculty ratio is 11.7:1, ensuring interactive classes that will engage you inside and outside the classroom in all fields of study. Our professors are leaders in their fields who challenge you intellectually and creatively, and do everything in their power to bring out your best. Students can choose from 56 academic programs in three colleges: the College of Arts and Sciences, College of Business, and College of Health Sciences and Education. Undergraduates regularly participate in research, meaningful projects, and other opportunities that aren’t always available at larger institutions. Misericordia University not only says it prepares you for a rewarding career—it backs it up. Professional preparation starts from day one. Misericordia University offers the Guaranteed Career Placement Program that says you will be working in your chosen field or attending graduate school within six months of graduation or the University will provide you with a paid internship in your field. It is paramount that students learn by doing, and nearly 80% of MU’s students participate in internships, student teaching, or clinical study. Plus, you’ll have many opportunities to perform service, both as a community volunteer and as part of your academic course work through international, national, and community service learning components. Misericordia is a close-knit community of learners where friendships form quickly and often last a lifetime. Relationships simply happen more easily on a campus of about 2,000 full-time students than they do on a campus of 20,000 or more. 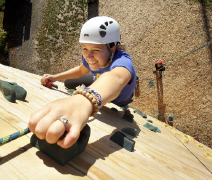 The campus makes it easy to get involved, and you’ll find a wide and eclectic variety of ways to do just that. According to a 2018 Ruffalo Noel Levitz student satisfaction survey, four out of five students are satisfied or very satisfied with their experience at Misericordia. 82% of Misericordia students indicated that their college experience met or exceeded their expectations. Four out of five students believe there is a commitment to academic excellence on Misericordia’s campus. More than 70% of students reported that academic support services met their needs. • 87% of students believe Misericordia has a good reputation in the community—24% greater than other private four-year institutions nationally. At Misericordia University, education also means socialization. If it’s formalized activity you’re looking for, try one (or more!) of our over 40 clubs and social organizations that run the gamut from academic groups to special-interest organizations to the fine arts. The Student Government Association is active on campus and sponsors a multitude of engaging activities throughout the year focused on student fun and involvement. As an NCAA Division III school, Misericordia competes in the Middle Atlantic Conference. The University offers 25 men’s and women’s varsity sports, including football. In 2017–2018, Misericordia student-athletes had a cumulative 3.28 GPA (.06 above the total average). The Athletics Department is headquartered in the contemporary Anderson Sports and Health Center, which features 73,000 square feet of space for indoor play, including a six-lane swimming pool, an indoor track, an aerobics room, a newly expanded fitness center, and more. All our playing fields are on campus, including the Anderson Outdoor Athletic Complex. The new Metz Field House and Tambur Baseball Field are also in the complex. A wide range of intramural sports are available all year long. Misericordia University is located in scenic Dallas, Pennsylvania, just minutes from the bustling cities of Wilkes-Barre and Scranton. We’re two hours from Philadelphia and the New York/New Jersey metropolitan area and three hours from Baltimore. To find out more about our campus, academic programs, and student-focused education, please visit our website, admissions.misericordia.edu.